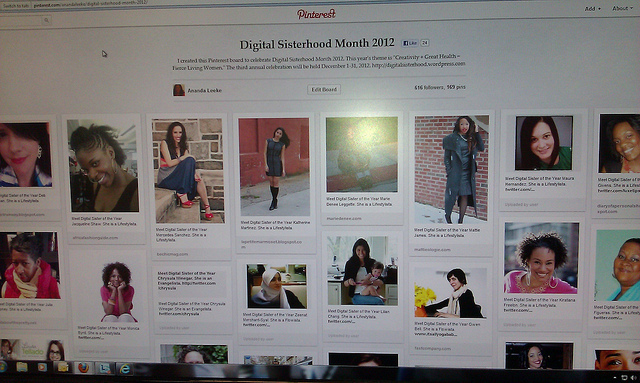 What Were Your Favorite “Digital Sisterhood” Moments of 2012? Can you believe it’s already the fourth day of 2013? As we move into the new year, we thought it would be a great idea to look back on the many moments we experienced digital sisters online and offline in 2012. What were your favorite “Digital Sisterhood” moments? Check out Digital Sisterhood Network (DSN) founder Ananda Leeke’s 25 favorite moments below. 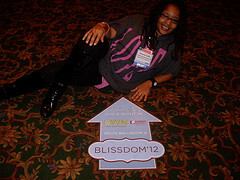 Attending my first BlissDom conference and teaching the “Fierce Living from Your Creative Heart” workshop session. Becoming a passionate Animoto, Instagram, and Pinterest user after learning how important it is to value my visual voice during Diane Cu’s photography and video session at BlissDom. Hosting a soft launch of DSN’s Leadership Project (#DSLead) with a radio interview and profile featuring Dana Theus, founder of InPower Women, a Pinterest board featuring interviews with social media women leaders, and a Twitter chat series. Participating as a panelist for the “How Social Media Can Shape Your Leadership Brand” panel and meeting Spelman College President Beverly Daniel Tatum at Spelman’s Eight Annual Women of Color Leadership Conference. 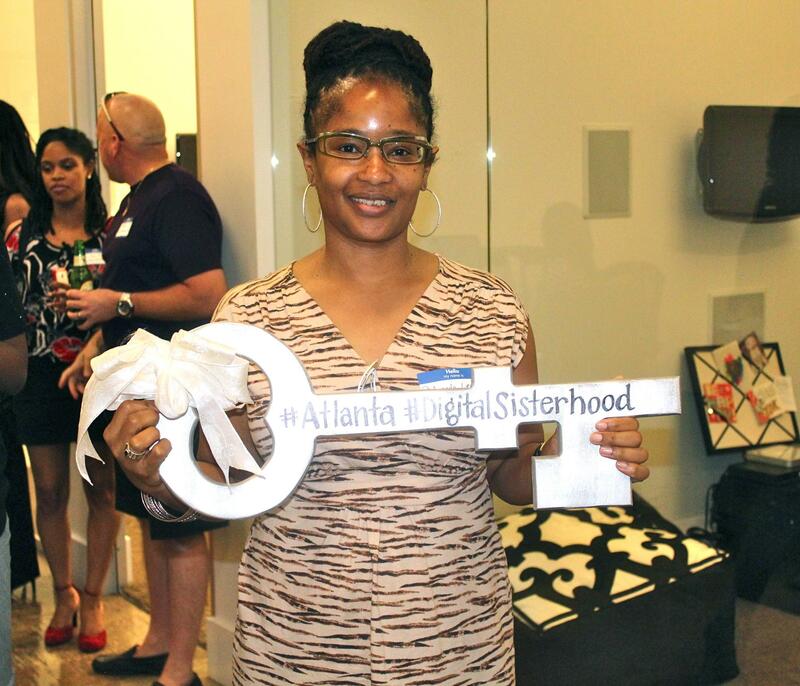 Being surprised by the Everywhere team with a Digital Sisterhood Key (created by Danica Kombol) to Atlanta at the Digitini event. Meeting Issa Rae, founder of “The Misadventures of Awkward Black Girl” webisode series at the Minority Media & Telecom Council Conference. 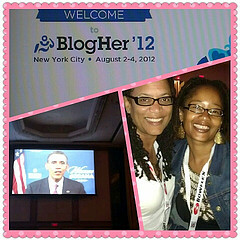 Seeing President Obama’s live web cast with Tracey Friley, founder of One Brown Girl, at the BlogHer Conference. 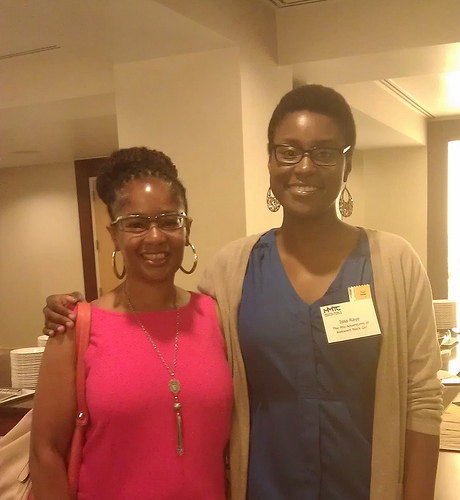 Rooming with Arnebya Herndon, founder of WhatNowAndWhy.com, and seeing her read her Trayvon Martin blog post at the Voices of the Year event held at the BlogHer Conference. 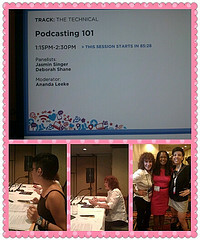 Moderating a Podcasting 101 panel with Deborah Shane, author/branding and media strategist/media host, and Jasmin Singer, co-founder of Our Hen House, at the BlogHer conference. 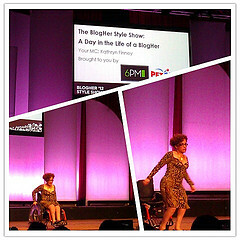 Attending the first-ever BlogHer Fashion Show curated and MC’d by Budget Fashionista founder Kathryn Finney, and seeing my digital sister Laurita Tellado get out of her wheelchair and walk the runway as a blogger model. 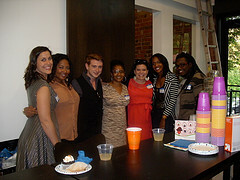 Hanging out at the Blogalicious’ Brunchalicious at BlogHer. Joining Women Online’s Social Media Sprint Campaign to promote President Obama by live tweeting with other women bloggers and social media influencers during the election debates and final weeks of the 2012 campaign. 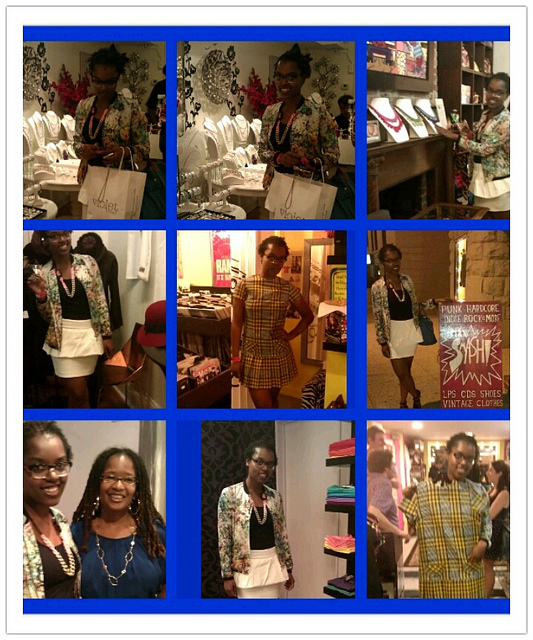 Celebrating my first Fashion Night Out DC with my digital sister Brea Ellis, founder of the What I Wore: Tip to Toe blog, and tweeting our photos from our Adams Morgan and U Street adventures. Working with graphic designer Dariela Cruz and Dari Design Studio on badge and logo designs for the DSN brand and Digital Sisterhood book cover. 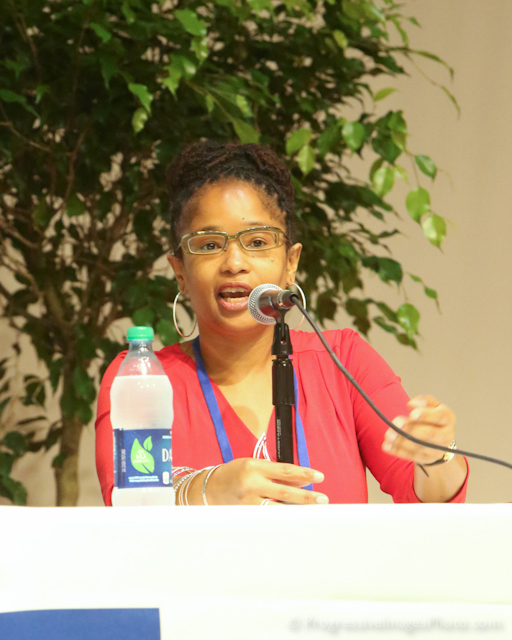 Sharing my thoughts as a speaker during the Blog Community Jam Session at the Blogalicious Weekend Conference. 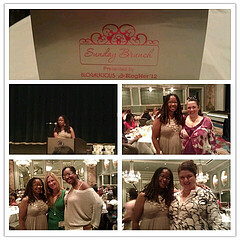 Chatting with digital sisters during the Blogalicious Weekend Conference Afternoon Tea. Watching Elayne Fluker’s ChicRebellion.tv, the first and only Internet TV network developed by women of color for women of color. Meeting Amy Vernon for the first time at Argo Tea (my new favorite place to go when I am in NYC) and working with her to build a thriving Tech Women Unite! Facebook community. Serving as an advisory board member for and attending DigitalunDivided.com’s FOCUS100 Symposium for thought leaders, entrepreneurs, and innovators who are using emerging technologies to engage Black women. 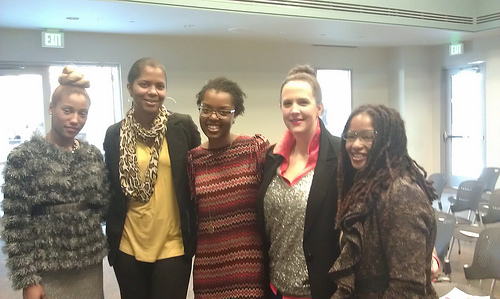 Learning about smartphone apps, crowdfunding, interactive games, and webisode script writing during Women Interactive, a Creative Technology Festival co-sponsored by the Art of Genius Creative Technology Series and Spelman College’s Digital Moving Image Salon. Joining AARP’s Kitchen Cabinet Blogger Advisory Group for the Caregiving Campaign during National Family Caregivers Month. 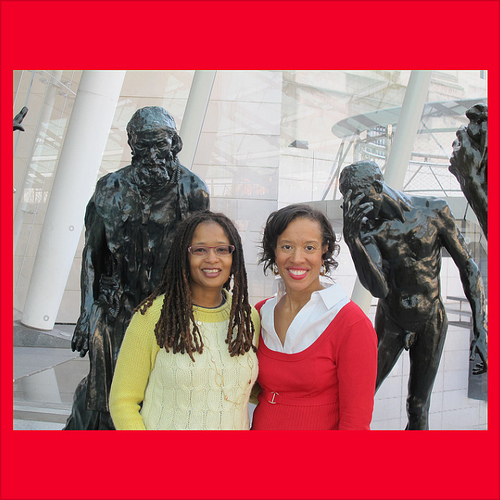 Working with Brea Ellis to plan and host two Digital Sisterhood Month events: #DSFlashMob on U Street and #DSStyleSalon at the Tenley-Friendship Library in Washington, D.C. Traveling to New York City with Xina Eiland to attend FOCUS100 and the Digital Sisterhood Month events. 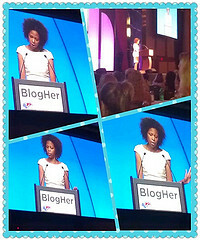 Connecting with digital sisters during the online and offline events held during Digital Sisterhood Month (rooming with Xina at Blogalicious and hanging out during BlogHer too).